Hi, are the Everyday Black Refuse Sack 200 recyclable? Made from MDPE which is acceptable at many household recycling centres and often recycled into laundry detergent bottles, oil bottles, recycling containers, plastic lumber, doghouses, picnic tables as well as other sturdy outdoor objects like playhouses and storage bins. 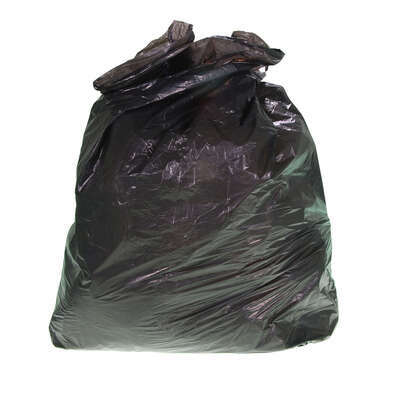 Suitable for everyday use, our Black Refuse Sacks are a light duty option for your refuse requirements. Designed for use in offices and or in domestic environments, this large pack of 200 black bags fit easily in most normal bins and are able to hold light weights of paper or regular household waste. Made from a sturdy 15-micron material, each refuse sack has a 5kg capacity and offers exceptional quality for its wholesale value. A great choice for high-traffic environments or simply as replenishment stock.